COURSE DESCRIPTION: The purpose of this group is to act as a writer’s book group. What that means is that we will read a book together and learn different writing craft techniques from it. This month we will be reading The Empathy Exams by Leslie Jamison and engage in an online discussion about different craft elements of the book. The book will help to guide our discussions on how to write an essay that reaches beyond personal experience and brings the larger world into our personal writing. Other aspects that we will look at are the use of description, narrative voice, structure, and even grammar and punctuation! Each week, book group members will have the option to post her response to one of the writing exercises and/or the latest draft of the essay she started at the beginning of the course. Members will give brief feedback on every person’s work, and the instructor will provide thorough comments and revision suggestions each week. The group will be coordinated using a private website so that group members, if they choose to, can further engage with their peers in a social way. We will read two essays this week to explore how we can bring larger societal events and issues into our personal essays. Assignment: Read the two assigned essays, and complete at least one of the writing exercises. Post your exercise to the course’s page to receive feedback from your peers (700-word limit). Comment on your peers’ essays. How do we get a reader to care enough about our lives so that she continues to read our personal essays? There are many aspects of writing that can help to persuade the reader to keep reading. This week we will look at voice, tone, pace, and structure to see if your essay is opening its doors and welcoming the reader to not just come inside, but to stay for a little while, too. Assignment: Read the two assigned essays, and complete at least one of the writing exercises. Post your exercise or the essay you are working on to the course’s page to receive feedback from your peers (700-word limit). Comment on your peers’ essays. Sappy. Lovey-dovey. Roses are red. That kind of thing. We all have so much to say about love, but how can we write about it and not sound so grossly sentimental? This week we’ll look at how we write about emotions and how we can use metaphors in such a way that the driving force of our essays are not the emotions behind them, but rather the ways in which we write about those feelings. Assignment: Read the two assigned essays, and complete at least one of the writing exercises. Post your exercise or the essay you are working on to the course’s page to receive feedback from your peers (1000-word limit). Comment on your peers’ essays. Sometimes there’s an event that we really want to write about, but aren’t quite sure how to fit ourselves into that story. How do we position ourselves as the narrator in an essay that might not directly be about us? In week 1, we looked at how to write a larger story into our personal essays, and this week we’ll go in the opposite direction—we’ll look at how we write the “I” into an essay about a larger topic. Sample Lesson: Click to view a sample lesson from Chelsey Clammer’s course The Empathy Exams: Week I. Materials needed: Please purchase your own copy of The Empathy Exams in preparation for the first week of the course. 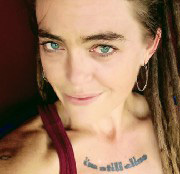 ABOUT THE INSTRUCTOR: Chelsey Clammer is the 2016 winner of the Red Hen Press Nonfiction Manuscript Award for her creative thesis, Circadian (publication in Fall 2017). She is a Pushcart Prize-nominated essayist who has been published in The Rumpus, Essay Daily, The Water~Stone Review and Black Warrior Review, among many others. She is the Essays Editor for The Nervous Breakdown and Founding Editor of Inside-Out Editing. Her first collection of essays, Body Home, was released in 2015. Her second collection, There Is Nothing Else to See Here, is forthcoming from The Lit Pub. Clammer is currently enrolled in the Rainier Writing Workshop MFA program. You can read more of her writing at: www.chelseyclammer.com. BUY NOW: THE WOMEN WRITERS’ BOOK GROUP with Chelsey Clammer (4 weeks, starting 5/1/2017) Limit: 16 students. Early registration is recommended. This class is now closed. Please check out Chelsey’s upcoming classes here.